You’d be hard-pressed to find someone who denies Moss is immensely talented, but in a recent era of football dominated by high-profile wide receivers like Moss, Terrell Owens and Chad Ochocinco, Moss’s ability on the field will never be enough to outweigh the harm he causes to his team as a perpetually egotistical distraction. 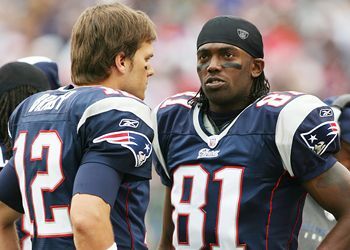 Randy Moss and Terrell Owens have combined to play for a total of 9 teams over the course of their careers. After seven successful years with his initial team, the Minnesota Vikings, Moss was traded to the Raiders and played for a 2 year period during which he looked extremely unhappy and disinterested in playing hard. He was then traded to the Patriots for a 4th round pick, as coach Belichick believed he could be the one to control Moss and keep him satisfied. Moss initially bought into the “team” concept and had one of the best individual seasons for a wide receiver in NFL history, catching a record 23 touchdowns. After the first game of this season, things appeared to be going south. Moss was unhappy with his role on the Patriots and felt unwanted, revealing his selfish attitude and narcissism. The Patriots decided enough was enough and traded away Moss for a 3rd round pick, believing they could survive without him and would benefit from the subsequent improvement in team chemistry. After only 4 games with the Vikings, however, coach Brad Childress decided they had made a mistake and that Moss had no interest in being a team player. They put him on waivers, and the Titans were the only team in the league who wanted to take a chance on him. While the addition of Randy Moss might benefit the Titans and jump-start their offense in a competitive AFC South division, this offense is based around Chris Johnson, one of the top running backs in the league. Moss will draw a substantial amount of attention from the defense which will open holes for Johnson, but Moss only seems to care about his personal achievements and just how often the ball is in his hands. Only time will tell whether this move can pay off, but don’t expect Moss to be a Saint along the way. This entry was posted on Monday, November 8th, 2010 at 4:42 am and is filed under NFL. You can follow any responses to this entry through the RSS 2.0 feed. You can leave a response, or trackback from your own site.